Welcome to our December challenge at Life in Details. We are expecting this month to be hectic so we are offering the easiest challenge ever! Anything Goes!!! Anything Goes with the following super easy restrictions, it must created in the Project Life pocket style scrapping or in a smash book. Easy peasy as my kids would say. So lets begin with our December Guest Designer Billie-Jean Beveridge from Have My Cake and Eat it Too! My name is Billie-Jean Beveridge and I am from sunny Queensland, Australia. I am a proud mum to two little girls, Dakotah and Amber, and am currently undergoing my Bachelor of Nursing. I began scrapping almost 10 years ago after the birth of my eldest and haven't looked back since. I scrap as often as I can and I like to experiment with different styles and techniques, ultimately so long as I get to make a mess and create I am happy. My favourite things to use when I scrap, right now, would be my distressing tool, my Paints/Glimmermists/Inks, Texture Paste and lastly my 3D tape, everything else is a bonus. 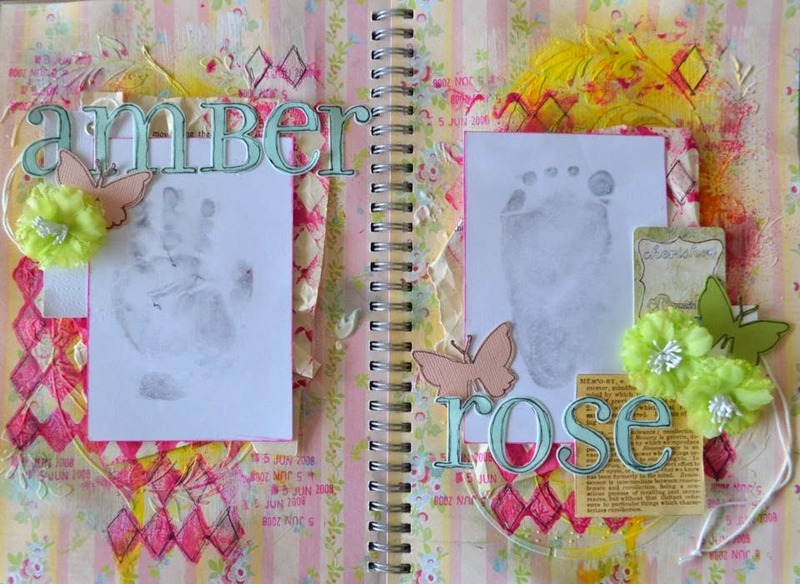 What a gorgeous way to preserve such precious memories! You have until December 31 to link up with us for your chance to be February's Guest Designer! Can't wait to see what you create! Thanks for having me as GD this month, it was a pleasure.